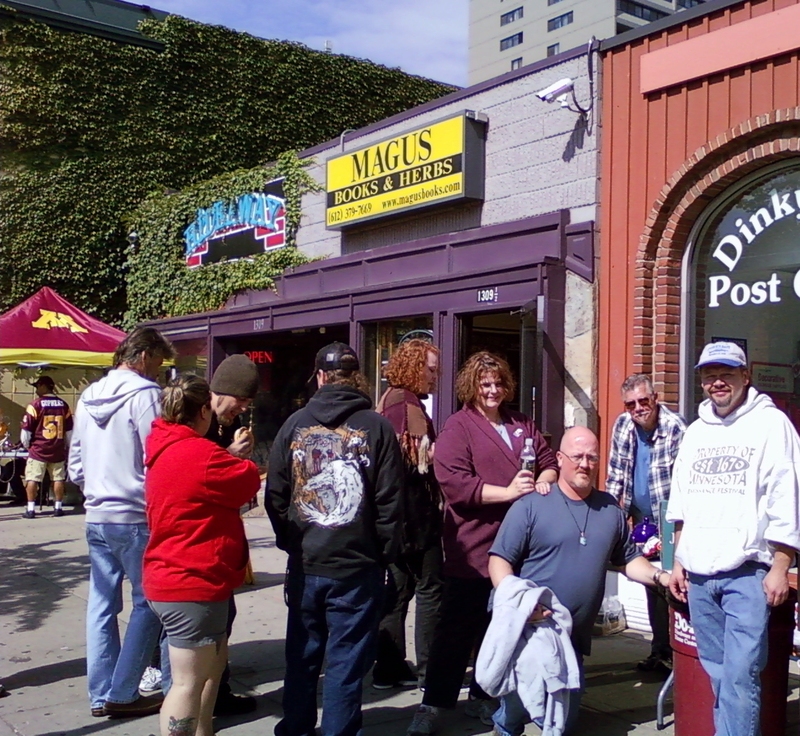 The pagan community turned out in droves to the Magus Books event held to celebrate and thank them for their loyal support over the last 19 years. Free BBQ’ed vittles were served to all customers and passersby and the day was packed with fun. Tarot cards were read, astrology charts deciphered, auras photographed, soothing massages thoroughly enjoyed and … not to be forgotten, fabulous door prizes proliferated the day! The Standing Stones for the discussion comparing “Living the Wheel of the Year … Then and Now”. A special Thanks and Appreciation goes out to our local artisan vendors who donated items for door prizes! Babs of Mugwort Maggies Apothecary, Ardus of Crescent Moon, Pauline Kabe of Squirrely Girly, Alan Olson, Cathy from The Edge newspaper, Alferian Gwydion MacLir, Marie Booth of Meadowlake Arts, Liz Johnson – herbalist, Mela Amara – shiatsu practitioner, Laurel Redd of Opinicus Soaps, The Standing Stones who catered the event and all others who contributed to our fun day!